After shopping from one Mall to the other, as I mentioned to the previous post entitled “Just Boasting of my Boots”, we have finally come to find a perfect boots for me. To keep my feet warm from the snow, even if I’ll go sledding with my Bana together with his friends and family. And we will, the moment we found the boots I immediately wore it for the activity that’s planned on the said evening. 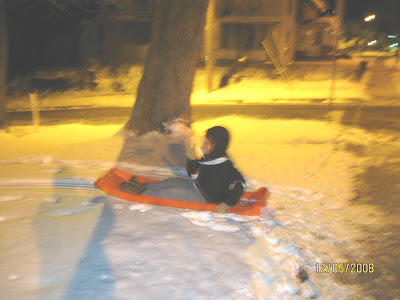 I’m excited to go sledding yet scared for I know the weather temperature during that time outside was 16 Fahrenheit. Come to think of it, a person who never experienced being exposed in a freezing place will be outside for fun with that kind of temperature? You might be asking if I don’t wear enough clothes and coats to keep me warm. I did, approximately 3-5 in all, but still standing outside is really freezing. I do admit that I am fascinated with the snow hence; the cold weather makes me sick. I want to play but I have to limit it because I know for sure that soon enough I’ll be deadly freeze because of the cold. 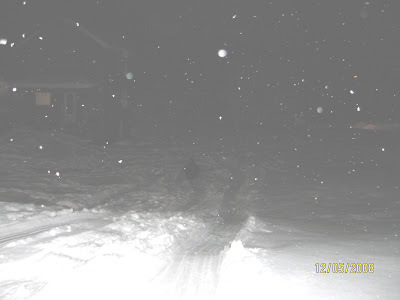 Subsequently, we still proceed to do sledding, when to see my Bana’s friend who happens to live in an area where there is an empty space in front of their house and a mini hill. 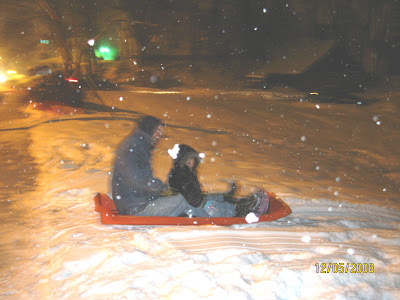 There we are, sledding, having so much fun and enjoying the moment that I kept slipping every time I do it by myself. 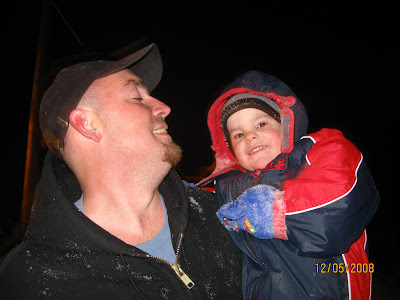 Friend Fred and Son Freddy Jr. But, it was fun in spite of how cold the temperature outside and even my face hurts because of it. I still had so much fun sledding and I can’t wait to do it again.